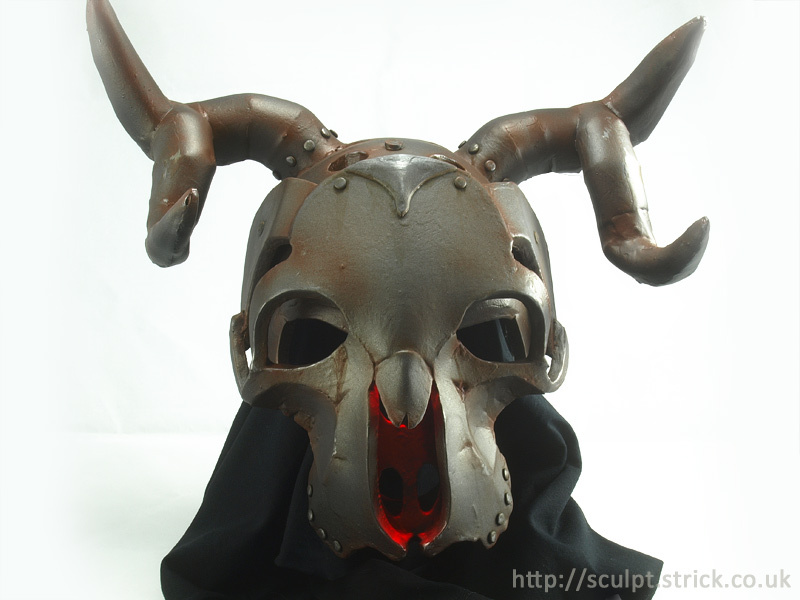 Festive reindeer skull costume helmet partly influenced by the Krampus legand. 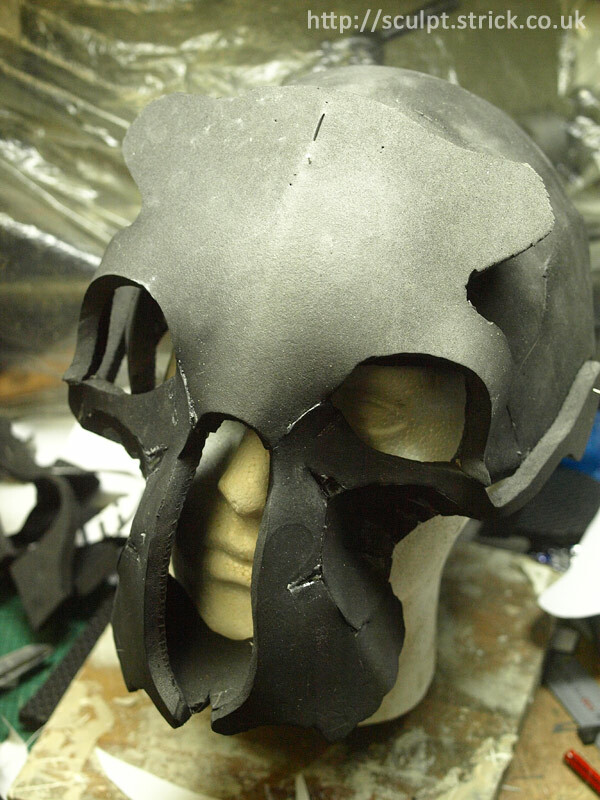 Made entirely from EVA foam. 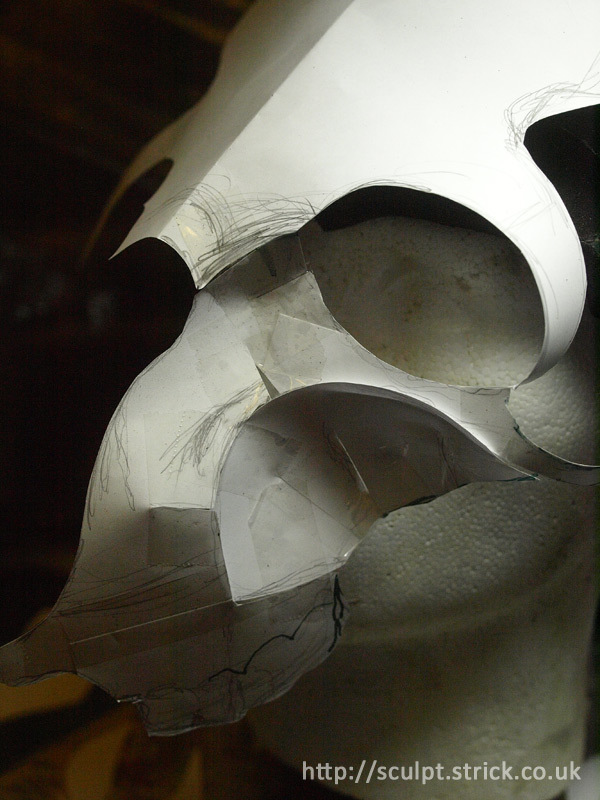 I free-formed the shape in paper on a polystyrene head before transferring the parts onto foam and hot gluing them together. The faceplate is hinged and can stay raised thanks to magnets. A small LED light provides the internal nose glow.